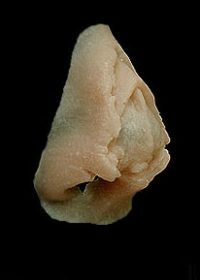 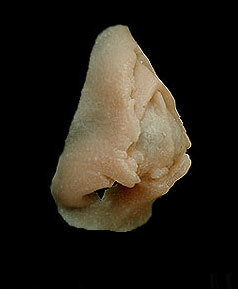 Shredded Nose Tip Prosthetic injury exposing bone and cartilage in this highly detailed prosthetic. 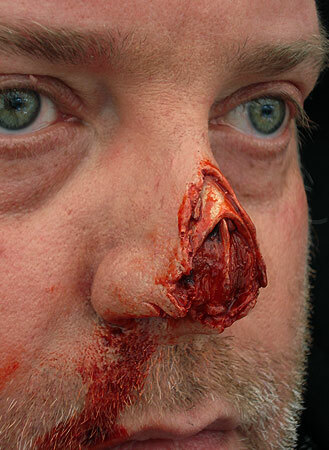 Ideal for casualty simulation or a great addition to zombie make up. Want to make it look extra gruesome? 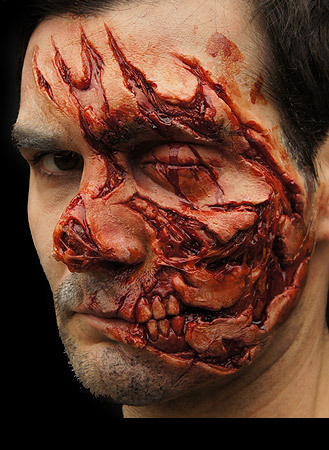 Try our Zombie Blood – rich and dark in colour, this will add even more depth to this horrific wound. Watch the video below for complete instructions on how to apply and paint this prosthetic, and see our ‘mix and match’ tutorial on Youtube to learn how to combine this appliance with 3 other prosthetics for a horrific full face injury effect. 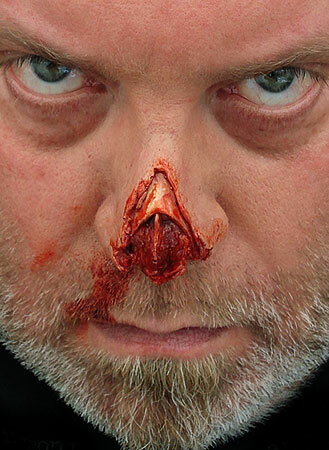 You can also find an easy to follow guide in this blog post.